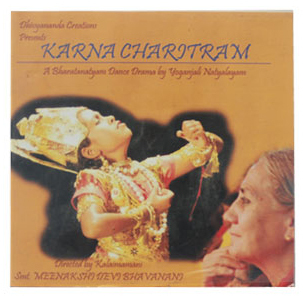 About This DVD: Spectacular dance drama by Yoganjali Natyalayam on the story of Karna in the Mahabharata. Lyrics, music and choreography are all unique and original to Yoganjali Natyalayam. The dramatic skills of all the sixty young artists are so excellent that you forget you are watching a drama and instead feel you are witnessing the tragic events and conflicts of Karna’s life. The Karna Charitram was presented by Yoganjali Natyalayam as part of the Centenary Jayanthi Celebrations of Yogamaharishi Dr. Swami Gitananda Giri in 2007.